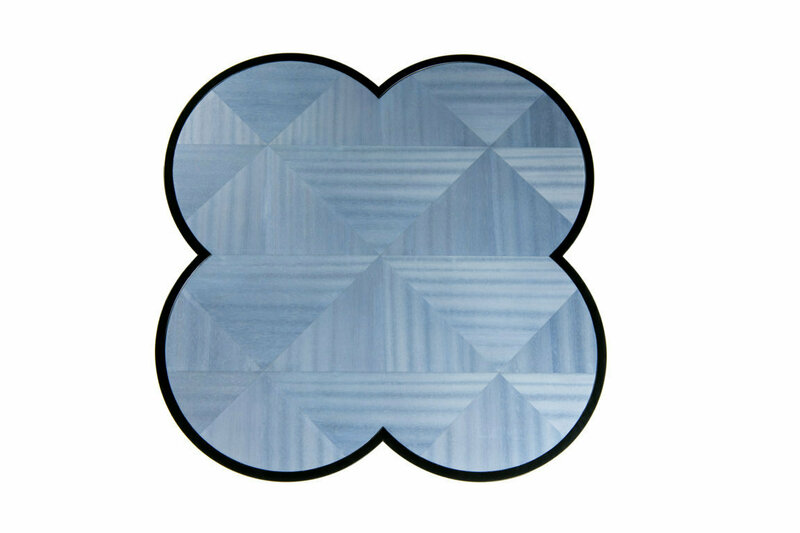 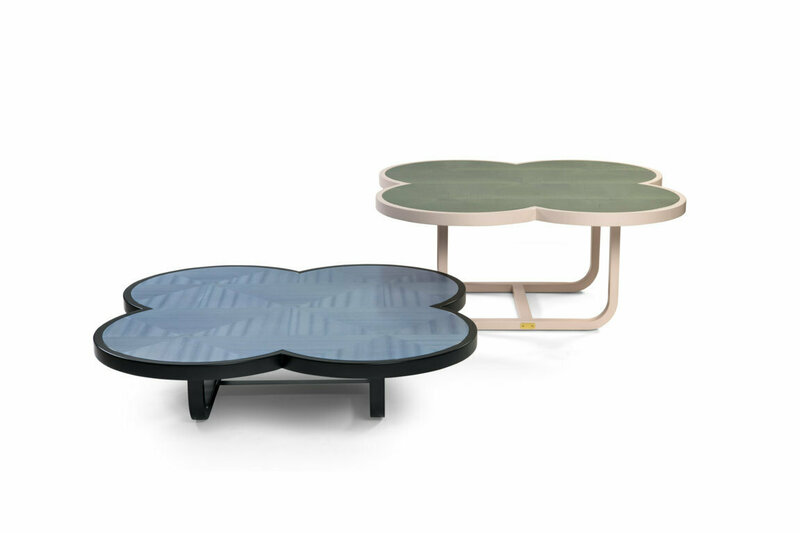 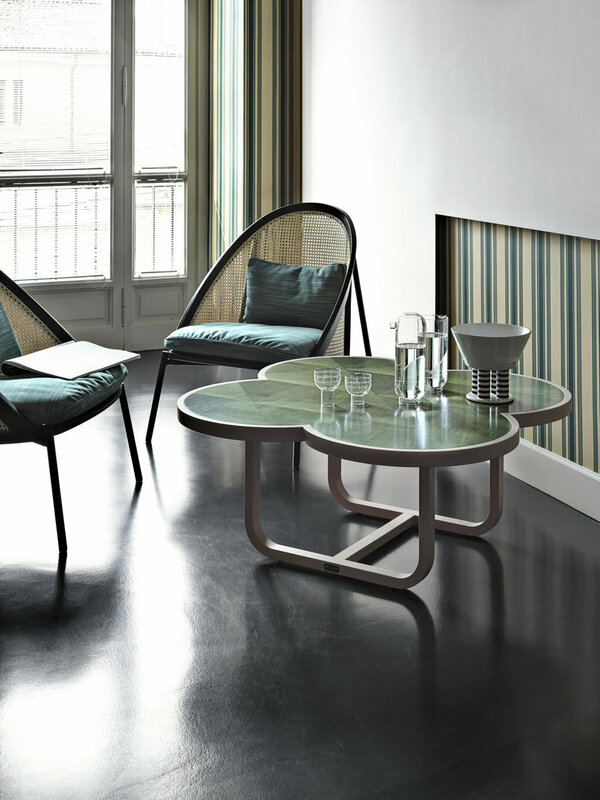 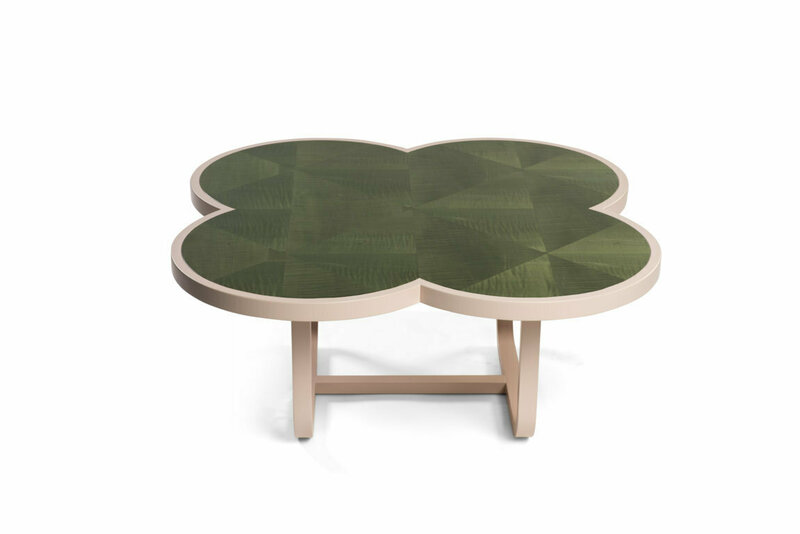 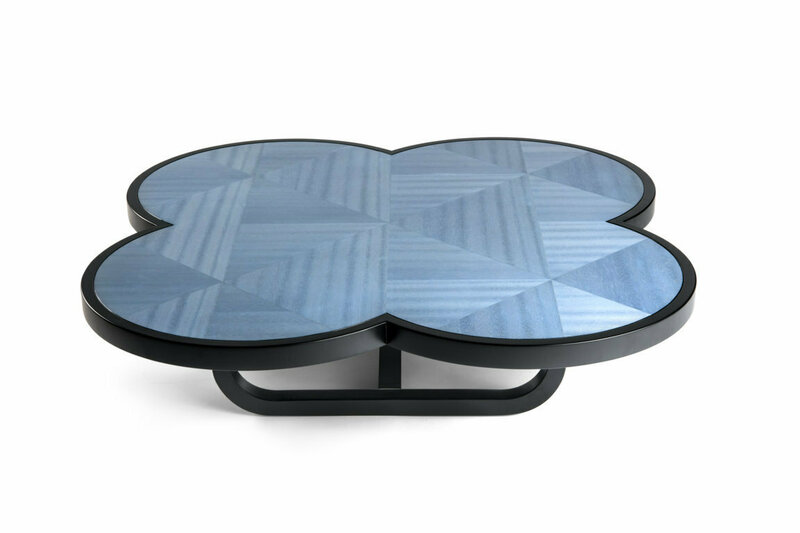 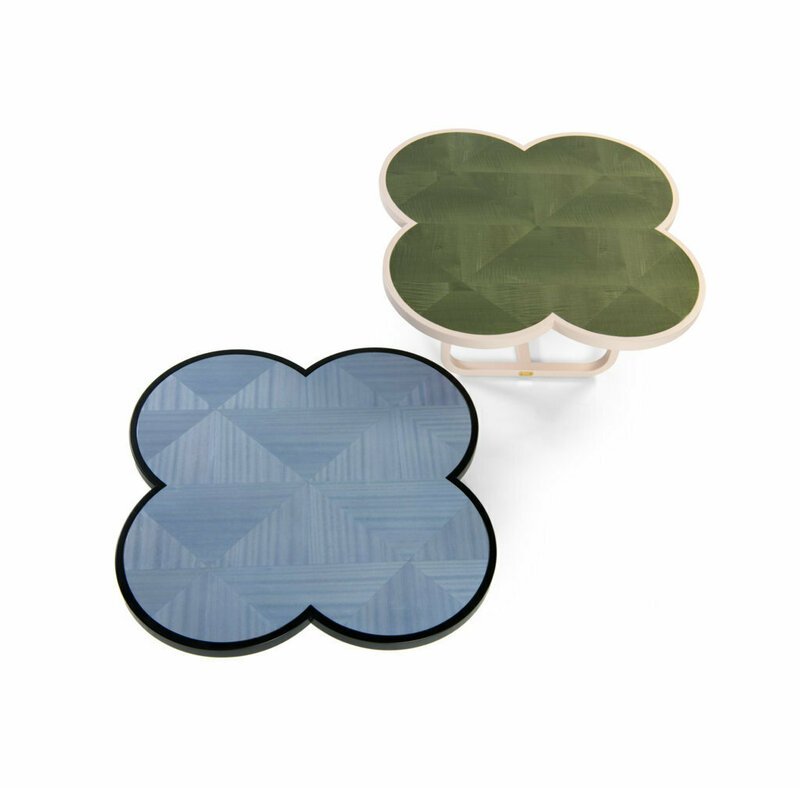 Evocative retro style defines CARYLLON tables by Cristina Celestino. 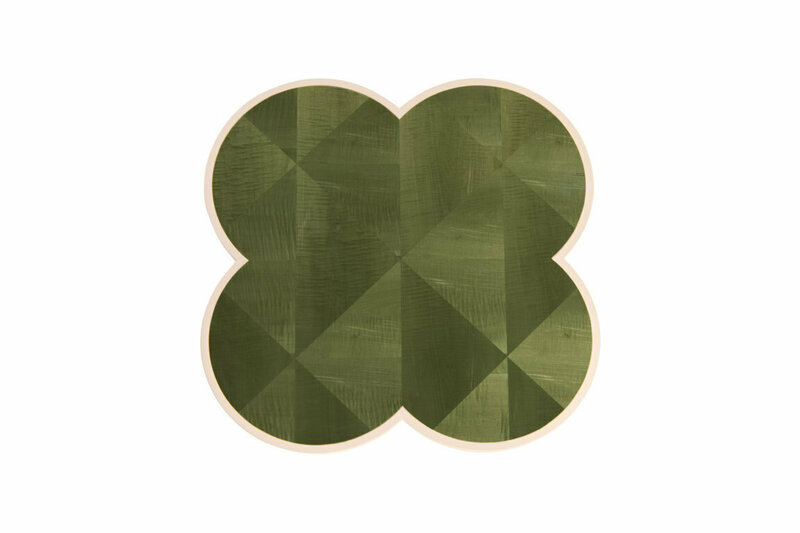 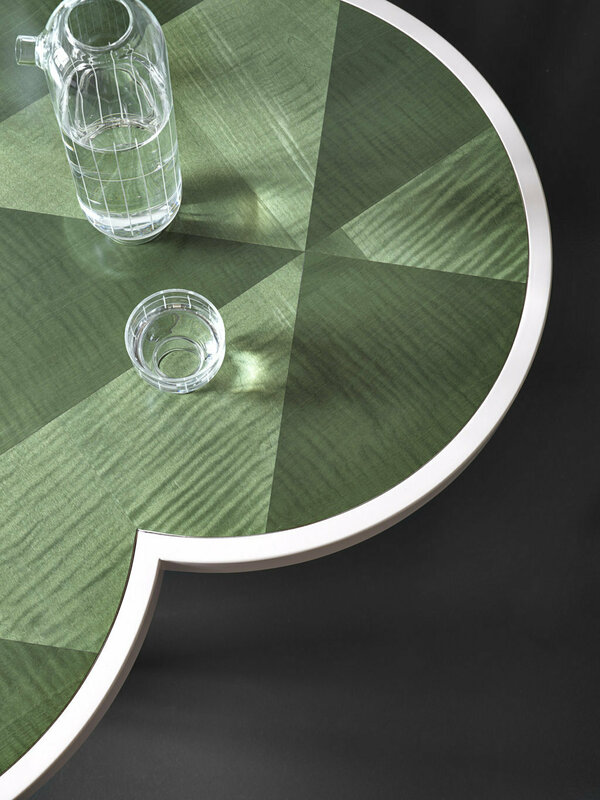 The leitmotiv of the collection is the square-section wood construction which alternates in harmonious contrast with the rich decorative finishing of the surface inspired by straw marquetry, a sophisticated inlay technique created with strips of straw dyed in characteristic Art Deco color. 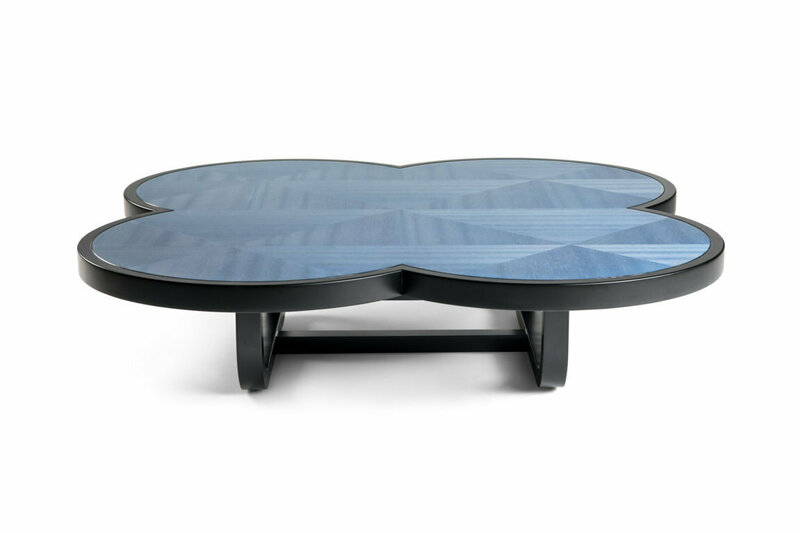 CARYLLON pays homage to the expressive power of inlay with a contemporary appeal, emphasizing the perfect alchemy between the manufacturing expertise of GTV and the research into materials, a salient feature of Cristina Celestino’s signature design. 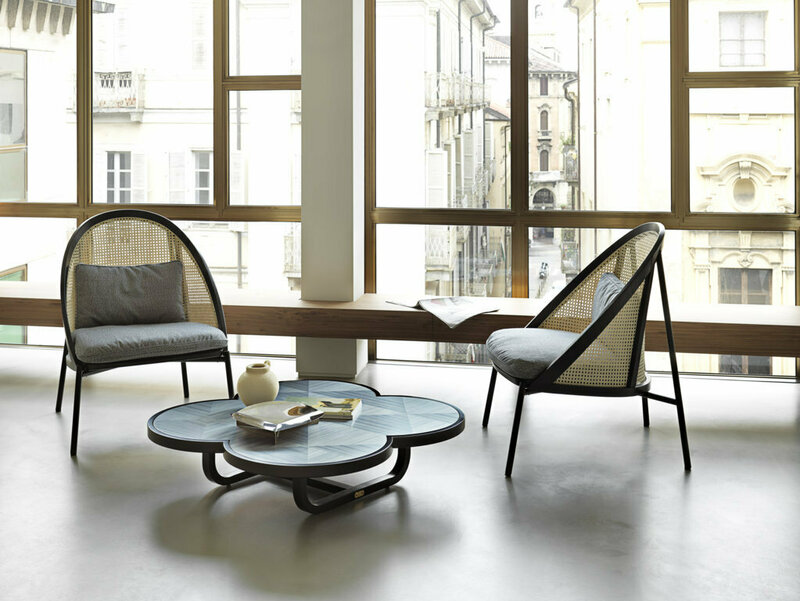 A strong reference to the secular history of GTV, whose founder Michael Thonet was born as a cabinetmaker. 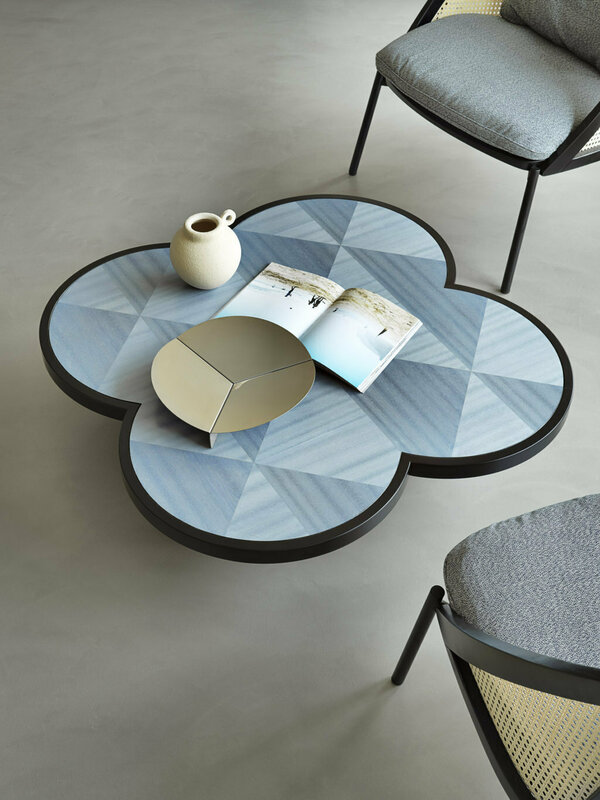 In a harmonious meeting of polychrome proportions, the intense palette selected for the surface levels merge into the solid lacquered perimeter as the contour of the bases represents another specific feature of this collection with a unique character, conceptualized in a rectangular dining table and in an original low version, flower-shaped in front of the sofa, available in two heights.